Bonni Brodnick Blog : Books. Schmooze. Mark it. Make it. Books. Schmooze. Mark it. Make it. 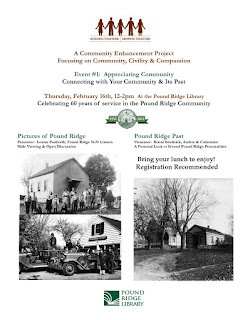 Many thanks to Pound Ridge Library for inviting me to present my book, Pound Ridge Past: Remembrances of Our Townsfolk, at "Connecting with Your Community & Past" on Thursday, February 16, from 12-2. 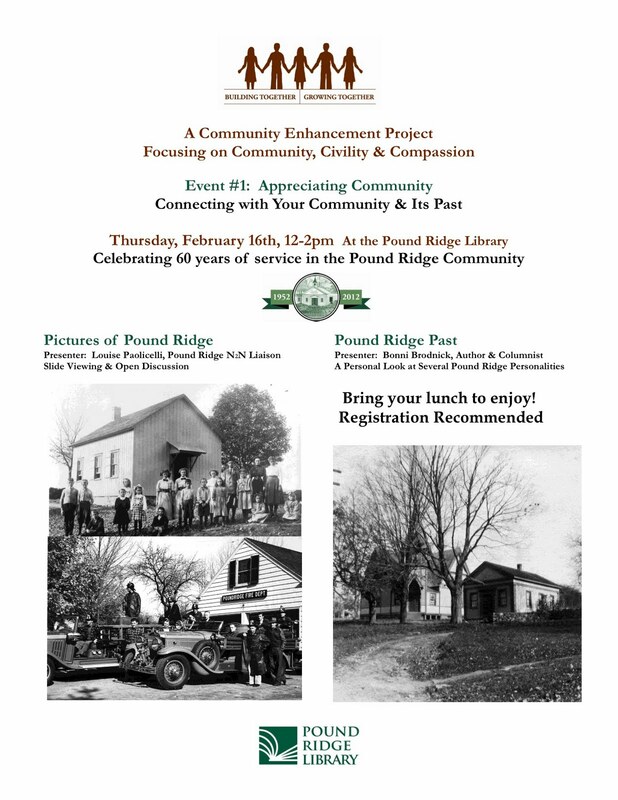 If you are in this neck of the woods, come hear the skinny on personalities who dazzled the calm of the countryside from the 1920s to 70s. Lauren Bacall poolside? The "Wizard of Oz" himself?